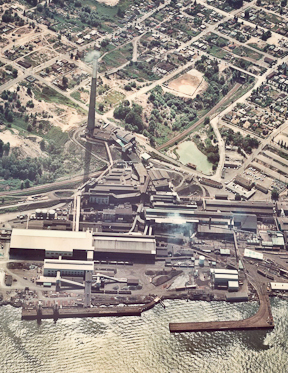 When ASARCO’s historic Tacoma Smelter closed in 1986, it left behind arsenic and lead pollution spread across more than 1,000 square miles of south Puget Sound. Numerous studies have since been accomplished to evaluate the so-called Commencement Bay Superfund site, and in 2009, the Washington State Department of Ecology (Ecology) received a $94M bankruptcy settlement from ASARCO for cleanup activities. Ecology has now finalized its Final Interim Action Plan, which lays out what Ecology will do to manage risk and clean up some areas of the Tacoma Smelter Plume. The plan includes several options, including excavation and offsite disposal of contaminated material, onsite blending with clean soil materials, and in-place capping and containment. Management and cleanup of this contamination is challenging for many reasons, not the least of which is the fact that the plume impacts reach far beyond the boundaries of the former smelter property. Ecology, in recognizing the challenge of cleaning up widespread contamination across thousands of properties, has chosen a multi-pronged suite of solutions. Settlement funds will be used to cleanup parks, schools, and childcare facility play areas, along with a variety of development-oriented options for properties undergoing redevelopment. The model remedies provide proscribed methods for assessment and cleanup that can easily be incorporated by cities and counties into their permit processes. Property owners have the option of performing independent assessment and remediation or participating in Ecology’s Voluntary Cleanup Program. Unlike other types of sites, smelter plume sites can participate in this program free-of-charge.